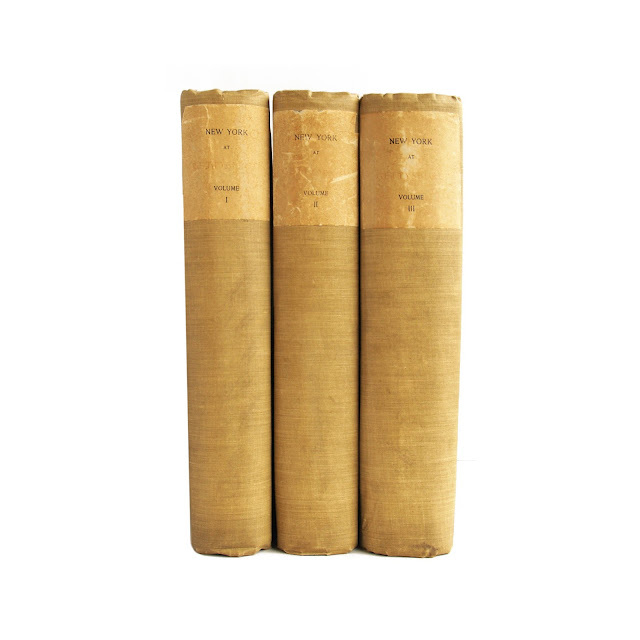 This antique hardcover three-volume set is bound in gray cloth with white paper paste-down spine labels and black lettering. 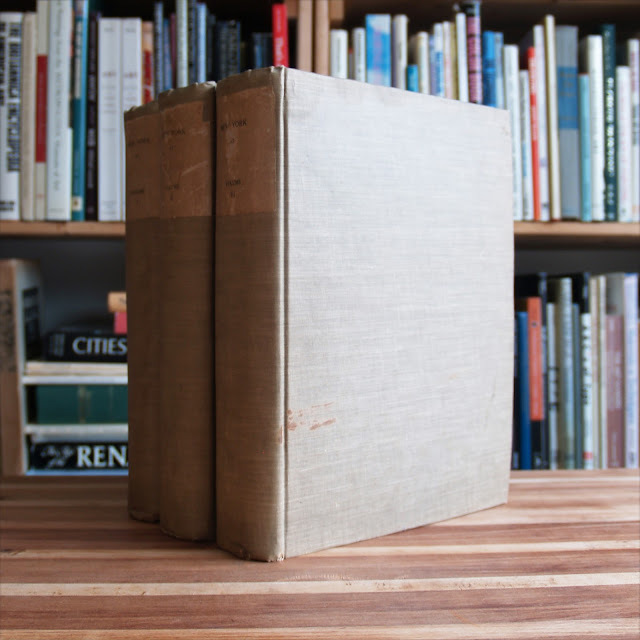 Spines are faded; endpapers browned but unmarked; some light foxing; inner pages clean, binding generally tight but hinges show some wear. Cover discoloration on all three volumes, worst is one Volume Two. 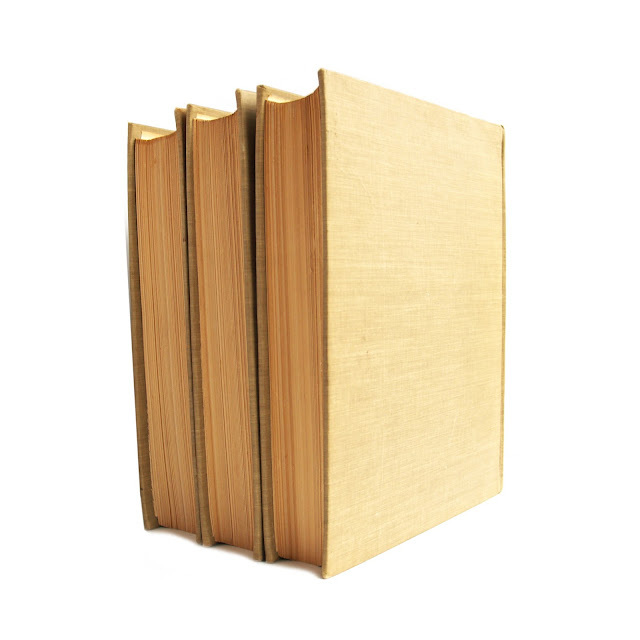 Top page edge gilt. Each volume has a pocket on the front inner board containing five maps total, all of which are nice, clean and crisp. Illustrated throughout with black-and-white photographs of various monuments and so forth. 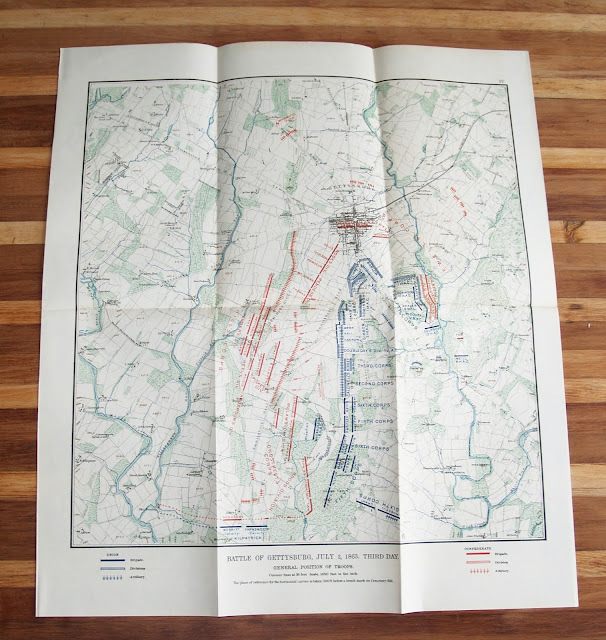 Arranged by the New York Monuments Commission for the Battlefields of Gettysburg and Chattanooga, this set is a detailed history of NYS regiments in the Battle of Gettysburg during the Civil War. 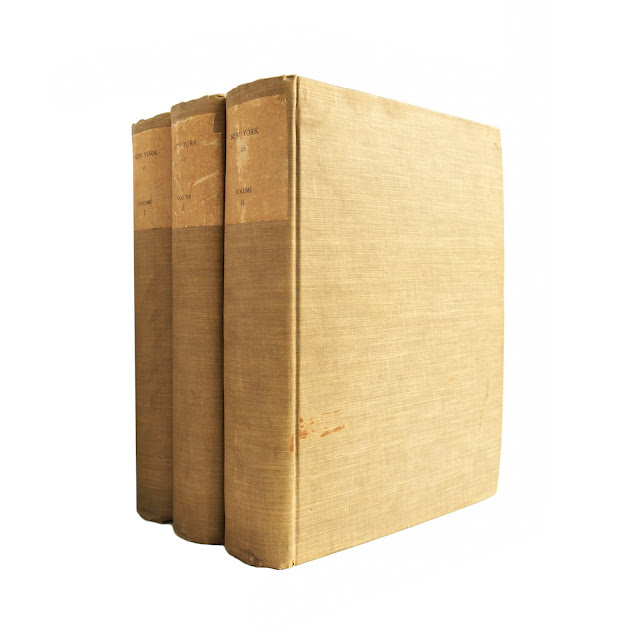 Three volumes come in at 1462 pages, 8"x10".